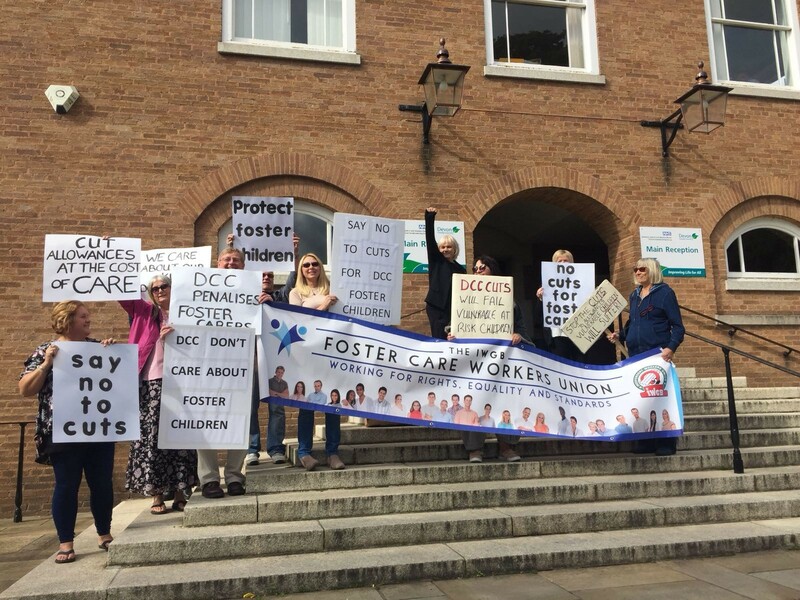 9 October: The Foster Care Workers’ branch of the Independent Workers’ Union of Great Britain (IWGB) is protesting Devon County Council’s proposed changes and cuts to its fostering services. The protest will take place during the council’s final meeting to discuss the cuts, tomorrow at 10 am on the steps of Devon County Hall. Devon are dramatically cutting the “skills fee” of Tier 2 and Tier 3 carers, who make up 57% of their foster care workers. Every local authority in England is expected to pay foster care workers a children’s allowance and a skills fee, with the former covering the child’s needs and the latter reflecting the different experience of the carers and usually split into three tiers. As it stands, Tier 2 carers for Devon are entitled to a guaranteed skills fee of £151 per week and Tier 3 carers receive a fee from £286.55 to £391.54, depending on the age of the child they are looking after. The council plans to cut the guaranteed fee to £116 per week for both tiers and for it to match the skills fee of Tier 1 foster carers, meaning an effective demotion for Devon's Tier 2 and 3 foster carers. Furthermore, the council will no longer tie the fee to skills but whether foster care workers can attend training and support groups. Foster care workers are also concerned about the lack of clarity about the fees, such as not knowing all the details about how it will be administered. The Council will also be able allocate an “enhanced” £90 per week and a further £70 per week for children with the most needs based on thirteen criteria, but it is unclear how these criteria will be interpreted or applied. The IWGB’s FCWU began the campaign by delivering letters to the council on Monday 1st October. The IWGB is the leading trade union for precarious workers, with cases against Uber, Deliveroo and the University of London.